The system allows the generation of real time marine training scenarios. e.g. man over board, search and rescue, oil spill, oil platform abandonment, etc. Each station controls a single unit (e.g. fast rescue craft, daughter craft, lifeboat, ERRV etc. Up to 30 stations per system). 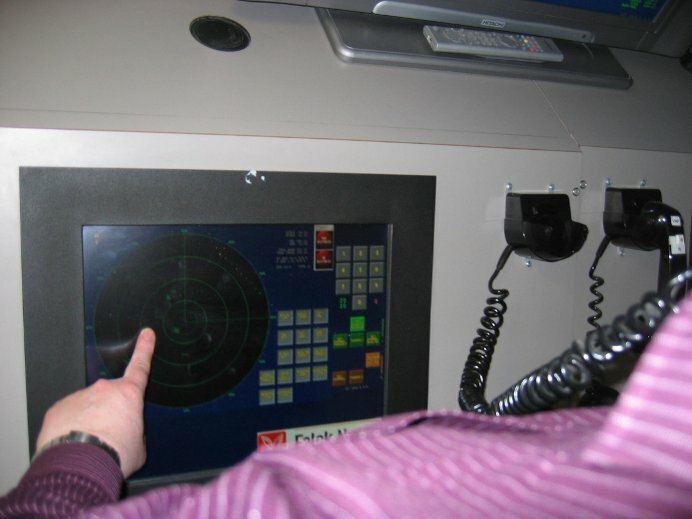 A touch screen provides control of the unit as well as options to launch flares, or rescue people from the water etc. A master station, plus one or more pseudo master stations, provide control of a scenario as it develops. A plan view is the main interface to the system. Objects (e.g. a liferaft) will 'fade in' when they are within visual range. An ARPA radar is available for larger units, a 'heads up' radar for smaller units. Virtual / simulated radios, MF and VHF with DSC functions. Line of sight for VHF comms. Communication quality can be altered in real time. The system is implemented on standard PC hardware, where each participant's station runs Microsoft Windows 7/XP/2000 Professional. Two sets of participants can take part over the internet where ever broadband services are available.